Crashtastrophy is a very fast-paced game, where the player controls a bumper car in a hostile city. The moves at a constant pace, avoiding lethal obstacles, gathering collectibles and finishing levels. The game was initially developed for PC, but as the controls lend itself well for mobile, we continued development for android. I was team lead for this project, meaning I was in charge of production and general management. Due to the small size of our team, I also functioned as designer, helping out with the vision of the project as well as designing levels. At this point I was combining production with being the vision holder of the project. It taught me a lot about both, mainly that in spite of my interest in production, I prefer having someone else dedicated to it - so that I can focus on the vision of the project and on creating levels. Our initial concept was a fairly vague idea of a fast-paced dungeon crawler. 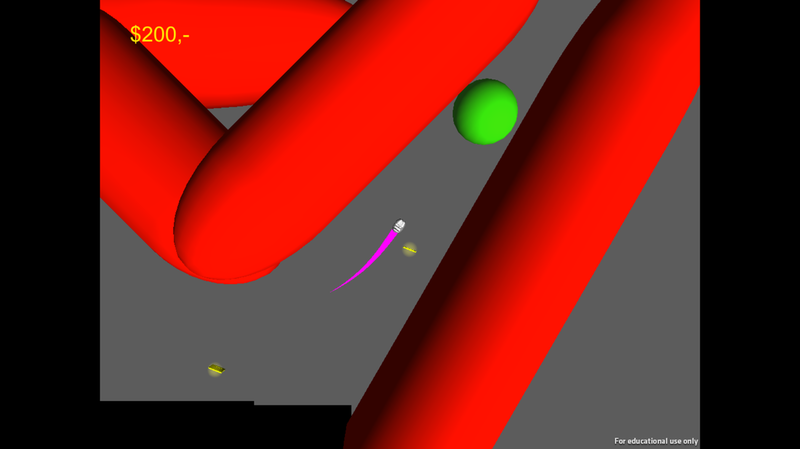 As I and our supervisor felt it really needed something more, I worked on ensuring it became a more interesting game. 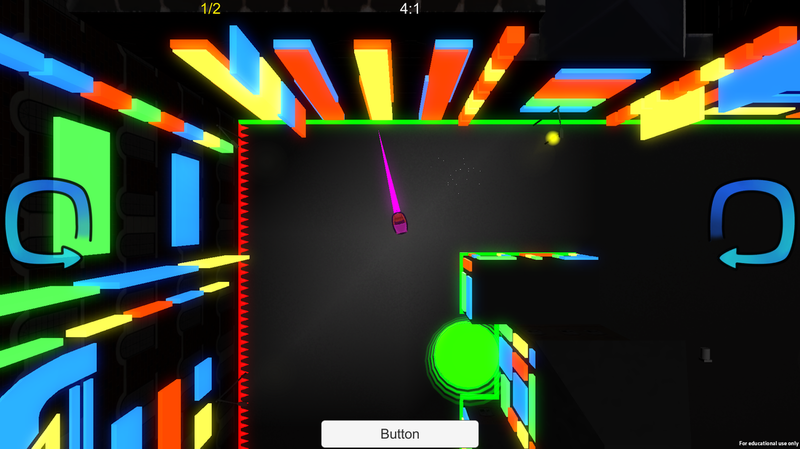 Using the suggestions from our lecturers - getting shot into the level and ensuring speed is a big factor in the game - I further thought out the concept, giving the player a constant speed and making it all about bouncing through the levels. I thought of most of the mechanics in the game, and wrote them out in a way that programmers could implement them properly. I also ensured that artists understood how the mechanics were supposed to function and look. I tested the mechanics a lot to ensure the vision of the game was preserved. I spent a lot of time during the first phase of the project tweaking variables, trying to ensure the game wasn't too easy nor too hard, and trying to create a certain flow in playing the game. I developed a lot of levels for Crashtastrophy (36 to be precise), beginning by drawing them out on paper, after which I made whiteboxes using unity primitives. I tested them myself and with friends, and eventually added the art to it that the artists had worked on. The levels explored different ways to use the bouncing in combination with other mechanics, and creating them taught me a lot about really understanding the core mechanic of a game and building around that. 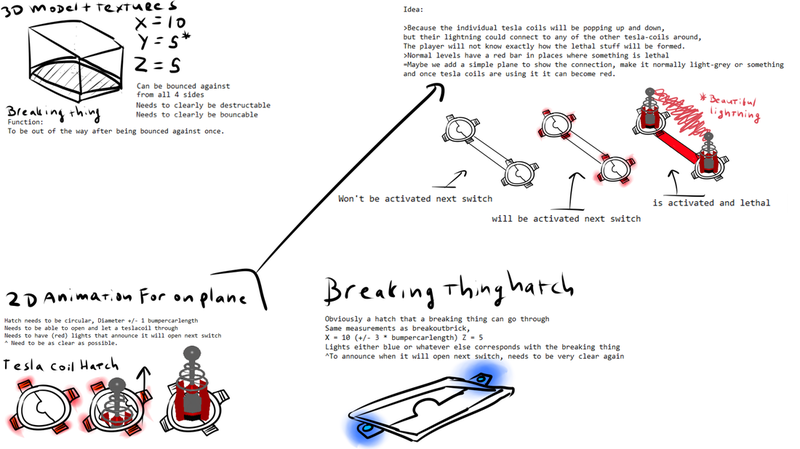 Some of the initial sketches for levels meant to introduce our main mechanics.